Perhaps back when she was new she was thought of as elegant. Now she just looks snobby and weird. This anatomy mannequin seems to have one of everything! Is it just me, or does this simpering, snickering male mannequin look like a serial killer? I actually find this pale goth mannequin quite lovely, but I bet mundanes would think her creepy if they saw her in a store display. 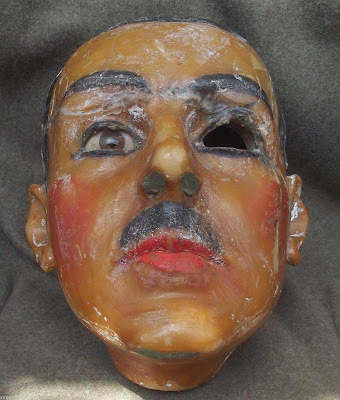 What's more unfortunate - that this vintage mannequin is missing his eye, or his entire body? Um, this is not ok! They thought it was so cool, they made a redhead version. Maybe I'm the only person who thinks this mannequin is creepy. Something about her glazed over gaze! Dear God, why is she laughing? And for the absolute hands down creepiest mannequin ever, I present this Nabisco clown.